Ditumabo Falls, also known as Mother Falls, is one of the must-see wonders when you are in Aurora province. Towering at 140 feet high, it plummets majestically into a reservoir of crystal clear waters. Contrary to what most people know, Ditumabo Falls is located in the town of San Luis and not in Baler although the two towns are proximate to each other. Understandably though, Ditumabo Falls is closely associated with the town of Baler since it is included as a side trip in most Baler tour operators’ itinerary. 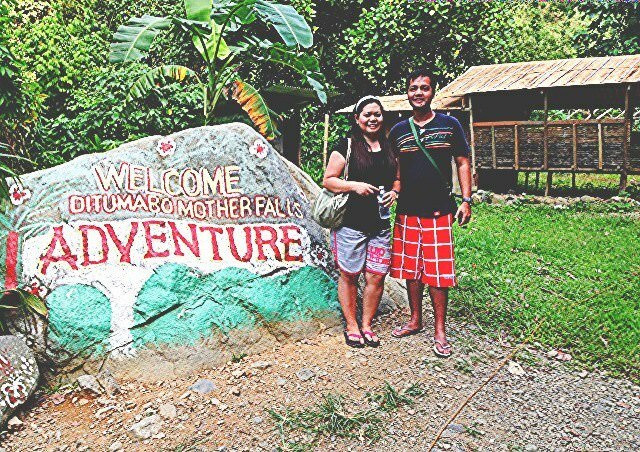 The most common means to get to Ditumabo Falls is to hire a tricycle or ride a passenger van from Baler town to Barangay Ditumabo. Travel time is about 30 to 45 minutes. From Barangay Ditumabo, you will have to hike through a narrow trail to reach the falls because it is inaccessible via tricycle or car. Keep in mind though that the hike to Ditumabo Falls is not for the faint of heart because it is a long trek. The trail going to the falls is fringed with thick, green foliage, as such, take it as a good opportunity to breathe fresh air and commune with nature. While you are walking, you will notice large metal conduits which funnel water from the falls to a small hydroelectric power plant that supplies electricity to Aurora province. When you notice the concrete pavement on the trail, it means that you are near Ditumabo Falls. When you finally reach Ditumabo Falls, you will be greeted by a magnificent sight. The sound of the falling water is brimming with energy and is enough to recharge you. You may swim in the pool created by the dam; the clear water is inviting. However, when we were here in 2015, we did not swim because the water was ice cold. 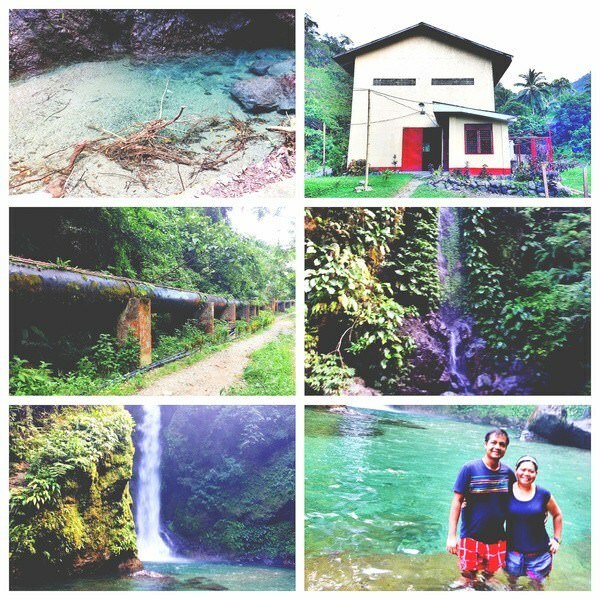 We just marveled at the waterfalls, took some pictures, briefly rested, and went back to Baler town. 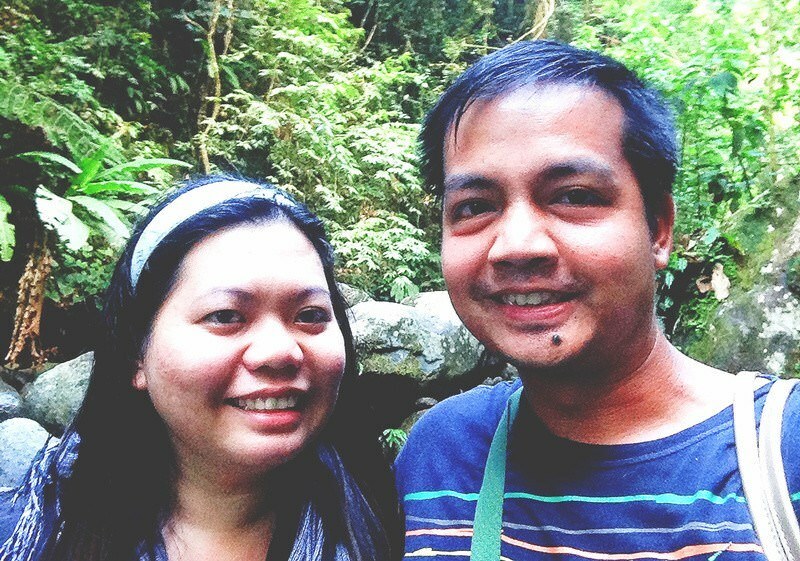 The best way to go to Ditumabo Falls is to hire a tricycle or van going to San Luis town. Personally, I recommend getting the services of a tricycle driver to take you to Barangay Ditumabo because they can drop you off near the point where the rough road begins. Wear light and comfortable clothes. It’s a long walk so be sure to keep yourself feeling cool and comfy. Be particular about your footwear. Wear shoes or sandals with good traction as the rocks can be slippery, especially when wet. The Ditumabo Falls entrance fee or environmental fee is a minimal amount which you will have to pay before you can begin your hike. When we went here in 2015, it was around Php30. The entrance fee for 2018 may have changed since then. Bring enough drinking water to last you for the entire trek. You may bring light snacks with you just in case you get hungry. Use sunscreen lotion and mosquito repellent cream. Be responsible travelers. Do not leave trash or destroy anything along the way. Baler is the most well-known take off point to get to the most beautiful spots in Aurora. To go to Baler, the most convenient method is to take Joybus (operated by Genesis Transport), which are premium point-to-point coaches that travel directly from Manila to Baler (and vice-versa). Ticket is a bit pricey though. When we went to Baler three years ago, the bus fare was more than Php700 per head. Prices would have increased by now, for sure, so don’t forget to check with them the current ticket cost if you are conscious about your travel budget. Alternatively, you may take any Cabanatuan-bound air-conditioned bus (i.e. Baliwag, Five Star or ES Transport). From Cabanatuan City, you may transfer to another bus or a passenger van bound for Baler. If you are driving from Manila, take EDSA then exit to NLEX. Most travel sites would recommend taking Sta. Rita Exit but the shorter route would be to take San Simon Exit in Pampanga, then traverse the towns of San Simon, Sta. Ana, Arayat, Cabiao and San Isidro. From San Isidro town (via Jose Abad Santos Avenue), make a left turn to Vallarta Street. You will know that you have reached Vallarta Street when you see a Mister Donut outlet to your right. Drive straight through the highway to Cabanatuan City. Take the road leading to Bongabon town in Nueva Ecija. Drive straight until you reach a forked road. Once you are at the forked road, you will see a sign pointing to the direction of Baler. Follow the sign until you reach Baler-Bongabon highway. Drive straight until you reach the province of Aurora (marked by a welcome arch). Drive further straight through San Luis town. Just follow the highway and keep your eyes open for signs that point to the direction of Baler. It can be a little overwhelming when you are taking your own vehicle and driving through an unfamiliar place. As such, I recommend using either Waze or Google Maps to help you out with the directions. If you are looking for a hotel to stay at in Baler, click here for the best deals and discounts. We went to the surfing town of Baler in October 2015. It was a beautiful place, full of natural wonders and historical sites. The travel guides above may have been written three years ago but most of the information in there are still relevant and true. That’s it. I hope you enjoy your time in Baler and around Aurora Province. A trip here would be a beautiful experience. The photos capture the beauty of these cities. I'll add this to me bucket list! Wow! What a beautiful area. The waterfall picture is one that is absolutely breathtaking. It looks like you had a wonderful time. What a beautiful waterfall!! While it seems like the journey was long and somewhat arduous, it definitely seems like it was worth it. Glad to learn about Mother falls and this will be in my bucket list. The reminders before starting my hike are useful. I am totally new to hiking so at least I know what to expect and prepare. Thank you very much! Enjoy hiking. Yup, totally worth it. Thank you! Yes, we had a wonderful time. Thank you! Yup, the place is worth visiting. Wow... the photos are gorgeous and it looks like you had an amazing time! I love it myself and would love to visit... sounds and looks amazing! Amazing waterfall! It looks like a wonderful area to visit. I have never been to the Philippines. The pictures of Ditumabo Falls look beautiful. I hope you enjoyed your trip. Yup. Thank you very much. Completely enjoyed it. Thank you! Amazing vacation spot. Fantastic pictures, the views are spectacular. The falls majestic, definitely a worthwhile experience. Yes, it was amazing. Thank you. What a comprehensive and absolutely helpful guide you provided to trek the Ditumabo Falls! I have never heard of it, yet it looks amazing! Thanks for sharing all this info! 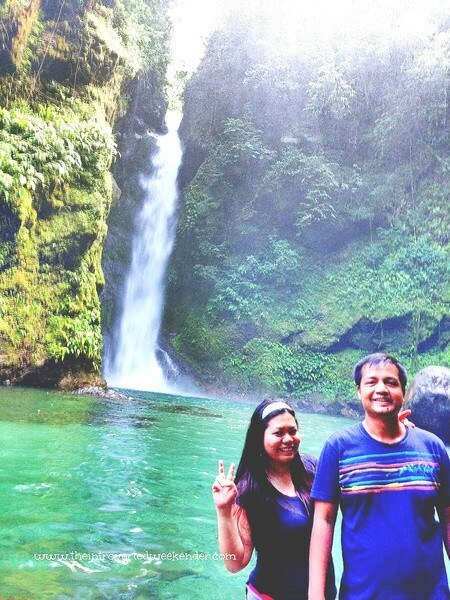 I haven't visited Baler and i hope I will soon and add this gorgeous falls in the list. I could imagine how good the water temperature is. Usually water from the falls are much lower. These are amazing waterfalls! 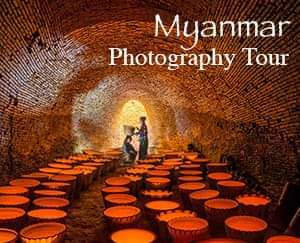 What a wonderful place to visit, I hope to visit here someday! This looks like such a beautiful place! love the photos and info! Thank you! i hope you get to visit it soon. The water is ice cold. Haha. Thank you for the kind words and for visiting this post!